By Daniel S. Orenstein – Managing Partner, Orenstein & Associates, P.C. 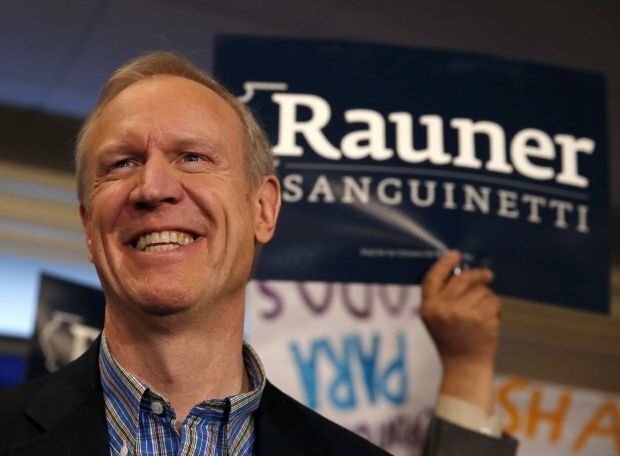 With the recent midterm elections behind us and business mogul Bruce Rauner becoming the Governor-Elect, many businesses in Illinois are beginning to wonder whether a Republican in the Governor’s mansion will a catalyst towards swinging the Illinois Workers’ Compensation pendulum back to the favor of business. By the time Governor-Elect Rauner is sworn in, a Democrat will have been sitting behind the Governor’s desk 12 years. During that time, the pendulum at the Commission has swung wildly in favor or labor and injured workers, with only lip service and cosmetic concessions given to business. In the Tri-State area of Illinois, Indiana and Wisconsin; Illinois is by far the most anti-business in terms of workers’ compensation laws. So the questions becomes will a Rauner Administration make any difference? The answer is… only time will tell. We do not yet know a lot about Governor-Elect Rauner’s position on the issue of Workers’ Compensation . A look at his campaign website indicates that Mr. Rauner wants to “reform the workers’ compensation system to make Illinois competitive with neighboring states”. Not much in the way of specifics there. Prior to election day progressives were spouting gloom and doom scenarios for a Rauner Administration’s effect on Illinois Workers’ Compensation. On September 22, 2014 Progress Illinois posted an article to their website stating:“[Mr. Rauner] has also proposed workers’ compensation reforms, claiming that the “2011 workers compensation legislation did not go far enough to correct Illinois’ status as one of the most anti-business states in the nation.” The article went on to quote Mr. Rauner as saying “the state should update how injuries are apportioned to ensure employers pay for injuries that occur due to the worker’s employment” and address the issue of “traveling employees” to “prevent claims that result while workers commute to work are exposed to the same risks facing the general public.” Further, the Article states Mr. Rauner wants to reform the rules to eliminate doctor shopping by employees. Will a Governor Rauner change Illinois Workers’ Compensation as we know it [as progressives fear] or will he propose modest and cosmetic changes in an attempt to appease his business base? We do not know yet, but what we do know is that any legislative changes to the Illinois Workers’ Compensation Act would first have to past the legislature. This is a problem for reform advocates since the legislature is still dominated by Speaker Madigan and Senate President Cullerton. Accordingly, any serious legislation proposed by the new Governor is likely dead on arrival. What Mr. Rauner can and likely will do is begin to appoint more pro-business people to run the Illinois Workers’ Compensation Commission. Perhaps the days of an IWCC Chairman stating that he only “answers to God and the injured worker” are gone for a while. A more moderate Chairman of the Commission, more moderate Commissioners and more moderate Arbitrators will go a long way towards equitably enforcing the existing laws and perhaps as an effect will reform the system at the grass roots level. Is it morning again for Illinois Workers’ Compensation or is it just Groundhog’s Day? Only time will tell. Stay tuned!